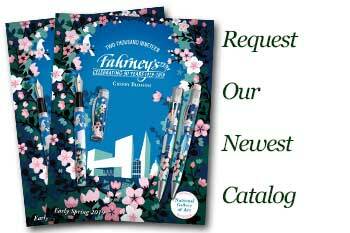 Order your Faber-Castell Loom Metallic Rollerball Pen today from FahrneysPens.com. Fine Pens, Refills & Luxurious Gifts – great prices & fast shipping. The Loom collection from Faber-Castell comes in eye-catching metallic colors and an attractive design for a great price. Metallic matte lacquered cap with silver barrel and trim. The well balanced, hefty Loom features a snap on cap and a strong, sturdy spring clip. Available in a capped rollerball, fountain pen or twist-action retractable ballpoint.